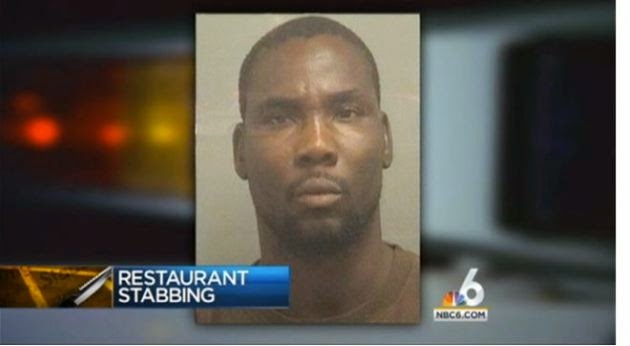 Last week in Boca Raton, Florida, 42-year-old Tilus Lebrun fatally stabbed his boss, 61-year-old Dimitrio "Jimmy" Karaloukas, and seriously injured another man. This horrific act was carried out in the restaurant that Karaloukas owned and Lebrun worked at; in the presence of patrons. According to Lebrun, Karaloukas took a picture of him and posted it online without his permission. Last Thursday, Lebrun allegedly took a large knife from the kitchen of the Jimmy The Greek Tavern and Restaurant in Boca Raton, where he was employed. As patrons ate dinner, Lebrun fatally stabbed Karaloukas and injured an unidentified worker, according to WRCB-TV. Deputies said Lebrun then walked outside, wearing an apron and still holding the large knife, and called authorities to admit the crime. "I killed him because he took my photograph on March 2nd and posted it on the Internet," Lebrun told the police, according to WPTV. “They need to learn how to respect people. I have three kids in Haiti. I know they will suffer but they will survive." Family members of Karaloukas who spoke to The Sun Sentinel said they were left in shock. "He loved what he did, he loved the people that he served," said Karaloukas' stepbrother, Joseph Scruto. "If someone came in and they didn't have money, he would take care of them." Lebrun was charged with homicide and attempted homicide, and is being held without bail. This is a truly unfortunate turn of events. Would the simple removal of the online picture have prevented it all?? I hate to think it would have been that simple when one life has been lost and two (possibly) changed in the most dramatic of ways forever.